In Issue #41, Volume #26, the Department of Environment (DOE) informed The San Pedro Sun of improper sewer waste treatment infractions on the island. 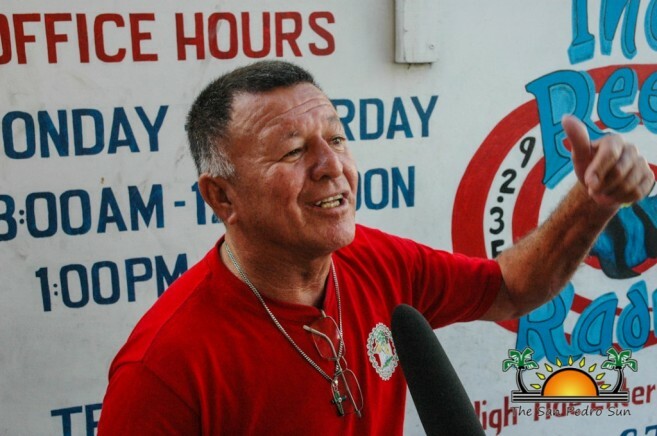 Chief Environmentalist of the DOE, Martin Alegria, informed both Officer in Charge of the Coastal Executive Unit, Henry Jemmott and Minister of Tourism and Civil Aviation Honorable Manuel Heredia Jr. that several resorts/businesses North of Ambergris Caye were non-compliant with the DOE. Since Minister Heredia works hand in hand with the Belize Tourism Board (BTB), he stated that although these resorts are non-compliant, the DOE also erred by not informing the BTB sooner. “There are several resorts in San Pedro, probably six resorts; and I am not aware of all of the names, that are non-compliant with the DOE. I told Alegria in a meeting that whenever letters are sent to these businesses for noncompliance, the DOE should notify the BTB so we are made aware of what’s taking place,” said Minister Heredia. The role of the DOE is to foster the practical use and proper management of the natural resources, the preservation, protection and improvement of the environment, and BTB is the governing body of the country’s tourism industry, which focuses on progressive and sustainable development. According to Heredia, DOE should have been in contact with BTB. “Alegria should have notified the Ministry of Tourism - which is the guardian and protector of this industry - because we could have helped the DOE tell these resorts that BTB is implementing higher standards. As a result, we will be enforcing these laws, and they would have to comply. BTB is looking to improve the tourism industry by implementing these new minimum standards. If DOE had informed us, we would have helped them enforce these standards, and it would have been less trouble for them,” said Minister Heredia. These minimum standards refer to an initiative by the Belize Tourism Industry Association (BTIA) on June, 28, 2016, they conducted comprehensive reviews of the improvements to the minimum standards for Hotels and Tourist Accommodations in Belize as proposed by the BTB to enhance the tourism product. They include proposed requirements that involve health, safety measures, and in this case, the standards of sewage procedures. Although the resorts were unnamed, it is evident that sewage disposal procedures north of Ambergris Caye are an issue. The lack of a sewage collection facility is currently causing contamination to surrounding areas and the sea. Some of the current procedures practiced by most of the residents and resorts up north are also unsanitary, which impacts both humans and the environment. However, there’s hope that with the implementation of the ‘North Ambergris Caye Water System and Sewage Collection and Treatment Project’, everyone will be up to code with the DOE. Not only will the project enhance the quality of life in northern Ambergris Caye, but it will support the island’s tourism package by providing quality service to both residents and resorts. This project is now pending its Environmental Compliance Plan (ECP), and is the first within the entire country of Belize. Once approved, it will upgrade the water quality standards to provide clean treated water to residents and businesses in North Ambergris Caye. The San Pedro Sun continues its attempts to speak to Chief Environmentalist of the DOE, Martin Alegria to gain further information on the non-compliant resorts, and what measures are being taken. As of press time, he remains unavailable for further comment.